PHOENIX, Ariz. A huge crowd filled Chase Field on Saturday night for the second race of the 2011 Monster Energy AMA Supercross, an FIM World Championship, season. After finishing third at the season opener one week ago, San Manuel/Red Bull Yamaha’s James Stewart, of Haines City, Fla., took his first win of the championship. Monster Energy/Pro Circuit/Kawasaki’s Josh Hansen, of Elbert, Colo., captured his second Supercross Lites Western Regional Championship in as many races. As the gates dropped on the Supercross class main event, it was Stewart who grabbed the holeshot with GEICO Honda’s Kevin Windham, of Centreville, Miss., and Rockstar/Makita Suzuki’s Ryan Dungey, of Belle Plaine, Minn., following closely. 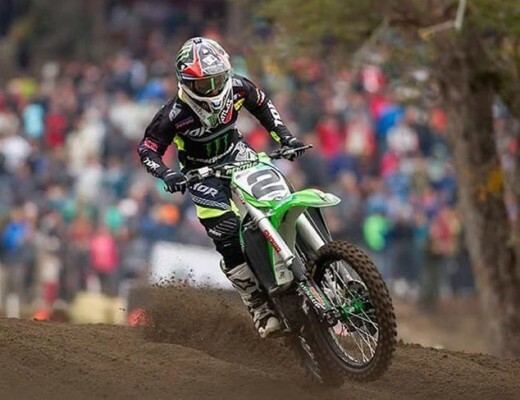 However, Stewart went on to win with a wire-to-wire victory despite a tough challenge from week one winner Ryan Villopoto, of Poulsbo, Wash.
On Lap 9, Villopoto, who was mere bike lengths behind Stewart, fell but was able to remount in second and carry it to the finish. Supercross class rookie and American Honda rider Trey Canard, of Shawnee, Okla., finished third. 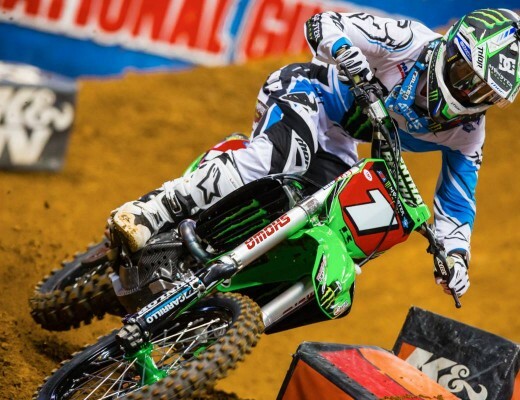 In the Supercross Lites class, it was another strong night for Monster Energy/Pro Circuit Kawasaki. Broc Tickle, of Holly, Mich., raced to the holeshot with Rockstar Energy Suzuki’s Ryan Morais, of Murrieta, Calif., and Monster Energy/Pro Circuit/Kawasaki’s Josh Hansen, of Elbert, Colo., in tow. Tickle led for seven laps, but made a costly mistake by tipping the bike over in a turn. Hansen, who had moved into second at the time, took advantage of it and never looked back. Tickle remounted in third, but battled back for his second runner-up effort of the season with Morais rounding out the podium in third. For more information on the Monster Energy AMA Supercross, an FIM World Championship, please log on to www.SupercrossOnline.com. For all media requests, please contact Denny Hartwig dhartwig@feldinc.com or 630-566-6305. 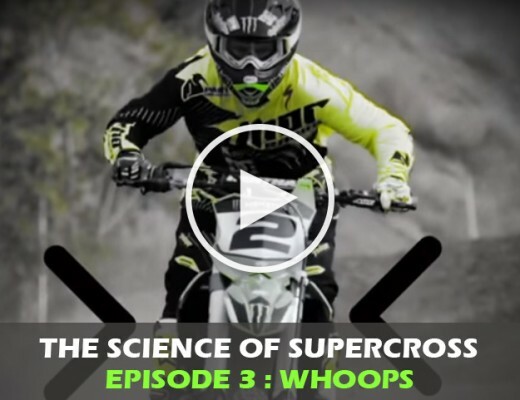 To follow Monster Energy Supercross on Facebook and Twitter, log on to http://www.facebook.com/supercrosslive and http://twitter.com/supercrosslive. Feld Motor Sports®, Inc. is the world leader in specialized arena and stadium-based motor sports entertainment. Feld Motor Sports, Inc. productions include Advance Auto Parts Monster Jam®, Monster Energy Supercross, AMA Arenacross Series, Nuclear Cowboyz℠, and IHRA® Nitro Jam®. Feld Motor Sports, Inc. is a division of Feld Entertainment, the world’s largest producer of live family entertainment. For more information on Feld Entertainment, visit www.feldentertainment.com. Three Down, Fifteen to Go!